Here are the top travel tips for packing luggage listed below. If you know any other travel tips for packing luggage please share them below. It’s difficult to generalise about baggage allowances, as they vary with the airline, route and class (they’re also constantly under review). 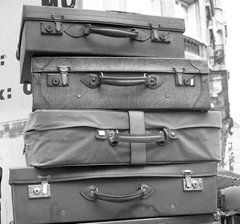 Hand luggage is usually restricted to one item measuring no more than around I I 5cm (45in) when the length, breadth and height are added together and weighing from around 6 to 18kg (13 to 401b), depending on the airline, route and class. 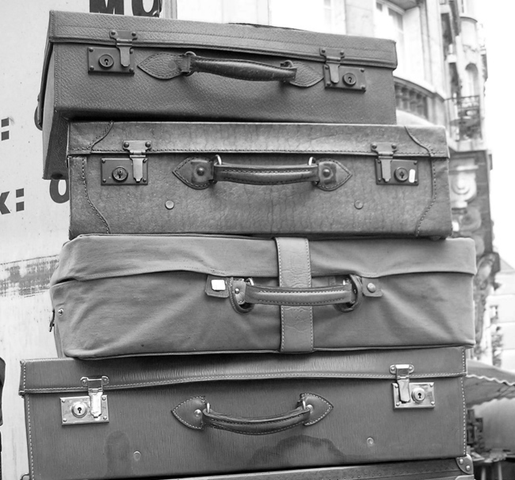 Airlines are becoming increasingly strict about hand luggage dimensions and weight, so make sure you consult individual carriers about their rules. Weight allowances for hold luggage on international flights also vary but are usually from 20kg (441b) to 32kg (701b) per person in economy and from 30kg (661b) to 40kg (881b) per bag for business and first class passengers. Some airlines limit passengers to two bags, while others allow a number of bags provided they don’t exceed the maximum weight. Check with the airline before travelling and, if you’re taking a trip that involves various airlines and destinations, check that the same allowances apply to your luggage throughout the trip. Baggage allowances are generally much more generous for long-haul than for short-haul flights, and can be particularly parsimonious on charter flights. Here is another travel tip for packing luggage, if you’re travelling with someone, it’s wise to divide your clothes and toiletries between you when packing luggage. In this way, if a case is lost or misrouted, both of you will at least have half your belonging. The list of items what you shouldn’t pack in your checked luggage is to be found on the back of your ticket and includes aerosols, pens, camera film and lighter fuel. You should also be aware that air pressure variations in the luggage hold sometimes cause toiletries to leak. Therefore, make sure that they’re in containers with secure seals hopefully with screw tops, are firmly closes and in waterproof bags. Pack heavier items, such as toiletries, shoes and books, at what is the bottom of the case when it’s standing up, which minimises the crushing and creasing of clothes. Needless to say, you you should pack delicate objects such as valuables e.g jewellery and cameras, money, passports, travellers’ cheques, in your hand luggage. Avoid packing luggage to breaking-point because clothes can expand in the luggage hold and you also want to leave some space for purchases made on your trip. Pack plastic bags to store dirty or damp clothing and shoes, and invest in good-quality shoes before your trip and wear them in before travelling. Inappropriate, ill-fitting and painful shoes can spoil or even ruin a trip if you’re unable to replace them. Avoid packing more than half a dozen of any item is usually unnecessary. If you’re a frequent traveller, it’s sensible to make a list of all the items you could ever possible want to take with you and simply tick off the ones you need for each trip. If you’re travelling from Britain, it’s worth mentioning that clothes can be bought for less in most countries you’re likely to visit, so you may wish to travel with a fairly empty case and stock up your wardrobe while you’re away.